This is a fun way for your students to practice addition! There are 5 spring worksheets included in this packet. 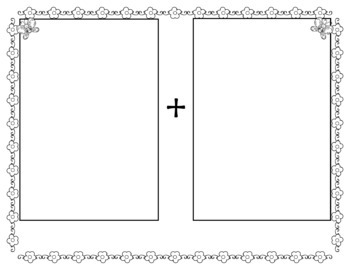 At the bottom of each page, there are 10 counters for the students to cut out and use to solve each problem. There are butterflies, turtles, birds, bees, and chicks. I have also included 2 types of 'work mats' (both full page and half page) to go with each worksheet. The work mats are for students to place their counters and count how many all together. The work mats also prevent your kiddos from losing their counters! 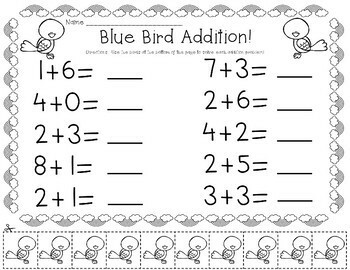 There are 10 addition problems on each page. 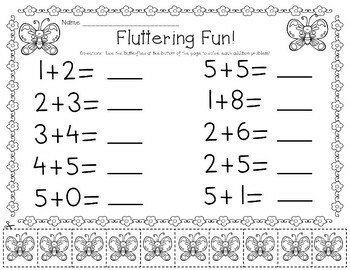 All worksheets and work mats are in black and white with a spring theme. This can easily be used for whole group practice, math centers, homework or as an extra activity. 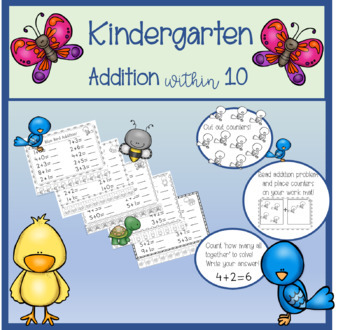 My Kindergarten Addition to 10 freebie (frogs) is not included in this packet.